If you could be made of steel, you’d do it, right? 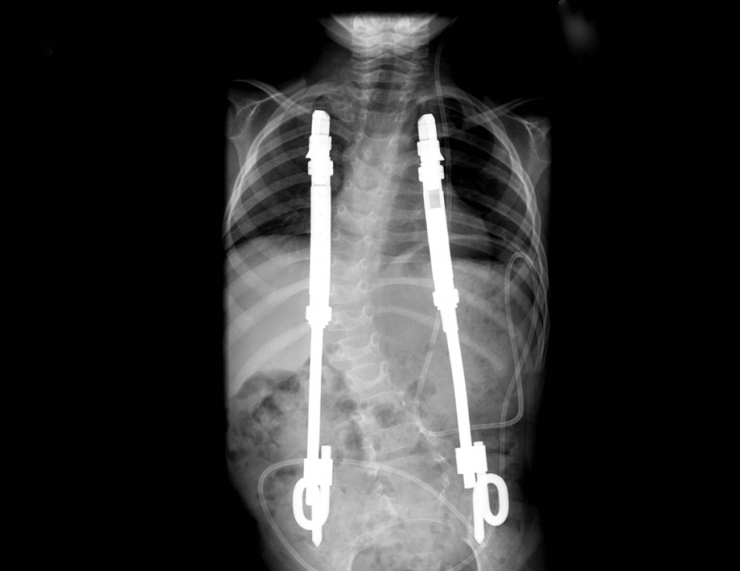 We just met a little warrior getting titanium ribs – a.k.a vertical expandable prosthetic titanium ribs (VEPTR) – and we were rather intrigued. This is Chasely, and she happens to look pretty great in green, too. Chasely turned two years old this past Wednesday (happy birthday!! 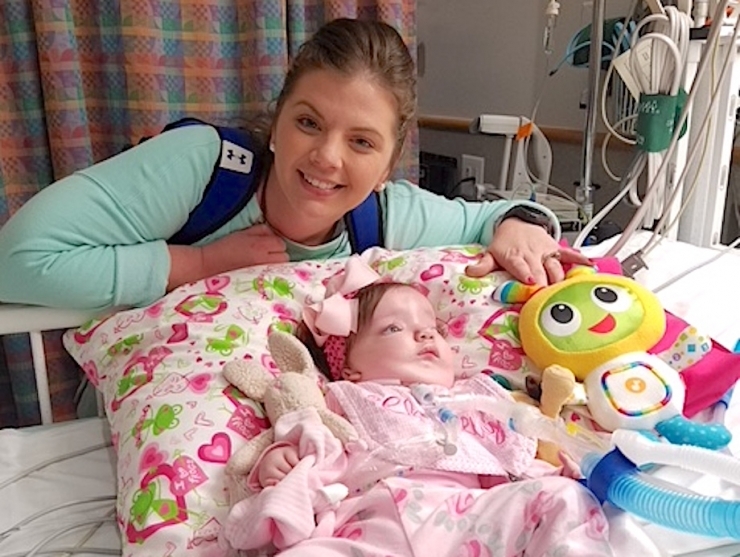 ), and in August, she’ll travel from her home outside New Orleans to Children’s Hospital of Philadelphia, where surgeons will implant the titanium rods that could change her life. 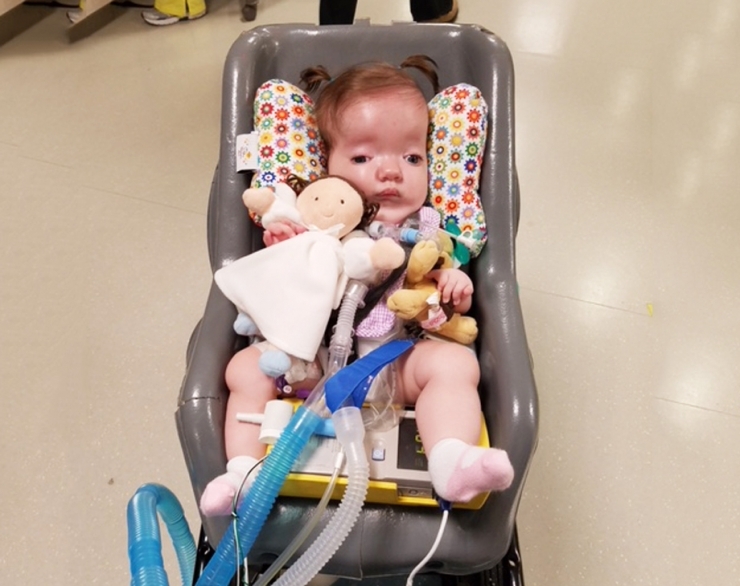 It’s the first of many procedures she needs to treat the 20+ rare conditions that make every day a monumental challenge, but here’s the cool part: at the end of Chasely’s epic journey, not only will she be stronger than Superman, she’ll have a real shot at typical toddler life. In the rare disease community, this is huge. No one was sure she would survive birth (which she did), make it through her first week (she did that, too), or have any brain function at all (she most certainly does, more on that in a minute). Chasely needed major interventions, but she fought hard. 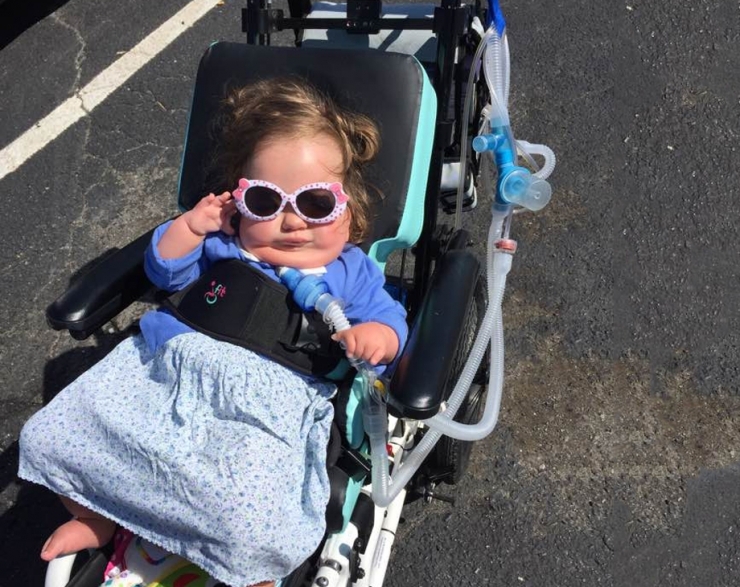 After eight long months in the hospital, Chasely was stable enough to go home. 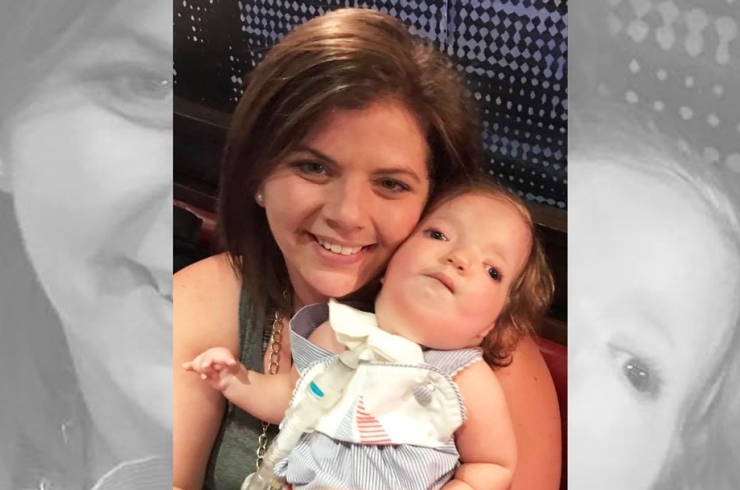 By that time, she had endured multiple surgeries, procedures, and tests, but at the end of it all, doctors still couldn’t explain her extensive medical issues. 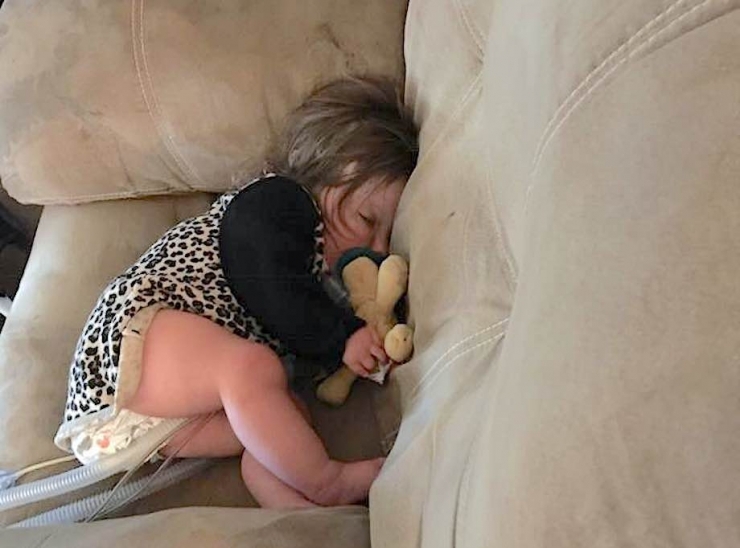 She for sure has thoracic insufficiency syndrome, where severe deformities of the chest, spine, and ribs prevent normal breathing, lung growth and development. But why? If you ask Aimee, searching for the answer isn’t their top priority. 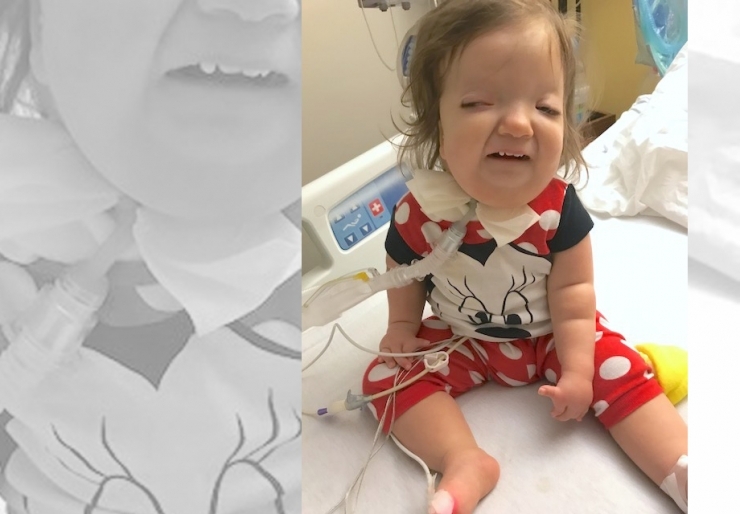 Chasely’s thriving, and proving doctors wrong every day – she can sit up on her own, point to her eyes, nose, and tongue, wave bye-bye, and blow kisses. And OMG that personality. “Chasely is one of the brightest two-year-olds there is,” Aimee said, her mama bear pride loud and clear. “She has no cognitive problems, she knows everything that goes on. 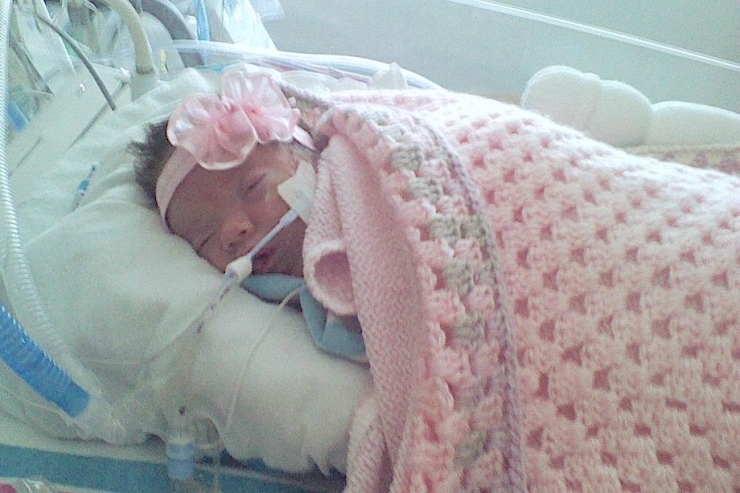 She can’t speak well because of her tracheostomy, but she’s very, very intelligent. We even know when she’s mad,” she laughed. 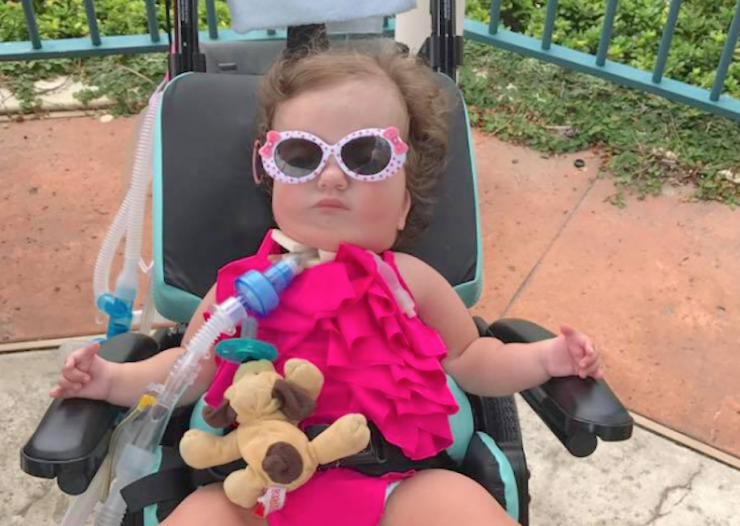 Still, if Chasely has any hope of a life free of a ventilator, tracheostomy, feeding tube, or the many other interventions she needs just to survive, VEPTR surgery is the first step. 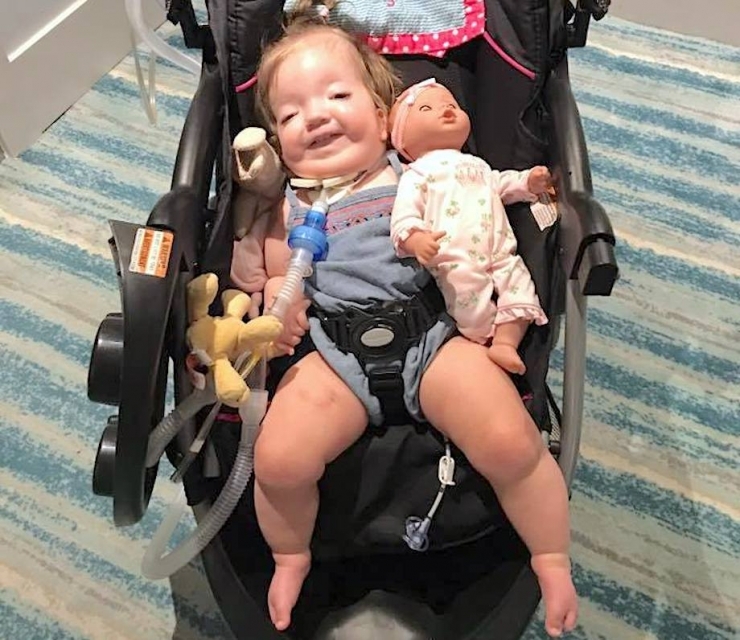 After implanting the titanium ribs, doctors would go on to perform subsequent surgeries to lengthen Chasely’s jaw and open up her airway, repair her cleft palate, and remove her tracheostomy. Hopefully. I don’t think that’s even close to everything Aimee told me in our interview, but it was a lot to process and her southern accent was distractingly adorable. She obviously has things under control, but Chive Charities wanted to make their world 10% happier however we could. “You’ve got a long road trip coming up,” I said. 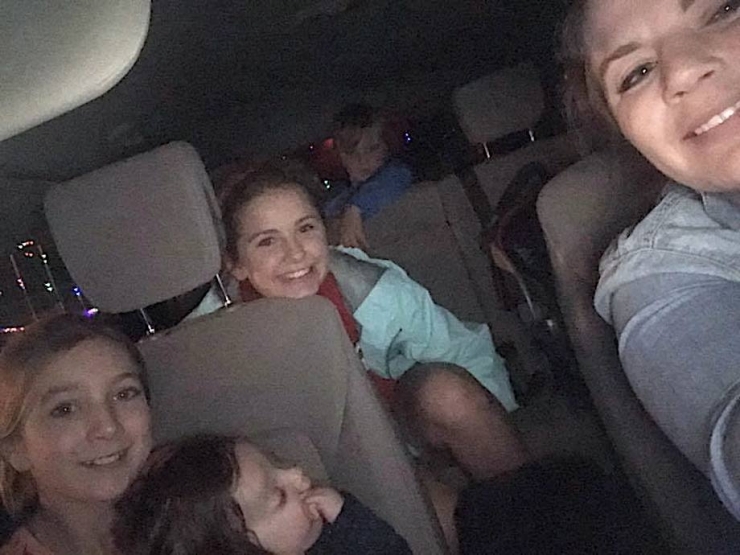 “I once drove from Austin to Philly in a Sentra and my dogs will never probably never forgive me.” She laughed, paused, and reflected for just a minute about life as a single mom with three kids – one of them super special needs – and her tiny, aging Kia. It’s a lot to handle. 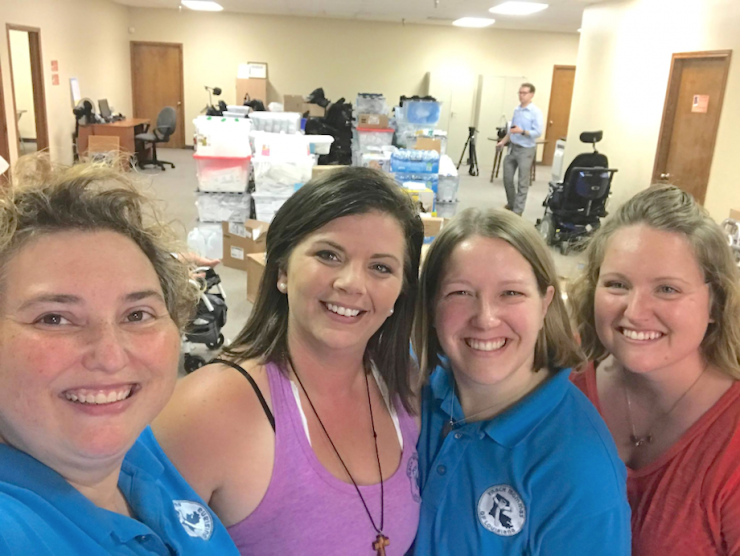 Chasely’s schedule is intense: physical, speech, and occupational therapy; normal things like going to big sister’s softball and big brother’s football games; and there’s Mom’s volunteer work with the nonprofit Louisiana Trach Mommas, who provide emergency supplies to medically-fragile families when disaster strikes. 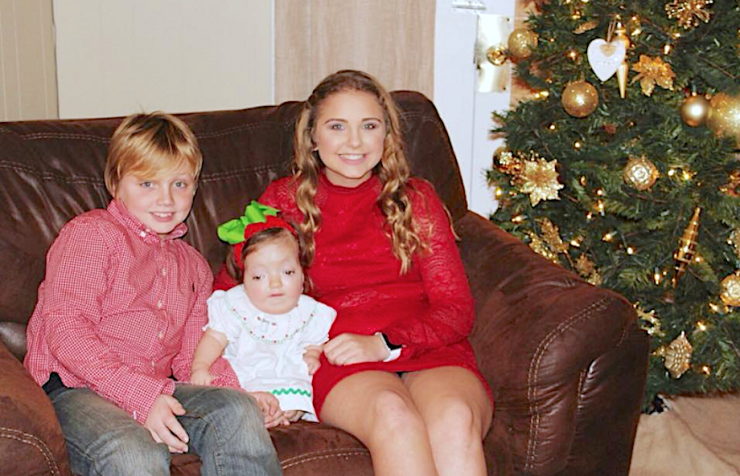 Thanks to Chive Charities’ monthly donors – who understand the value of community better than anyone – we were able to give Chasely’s family a $51,000 grant for a 2018 wheelchair-accessible Dodge Caravan. 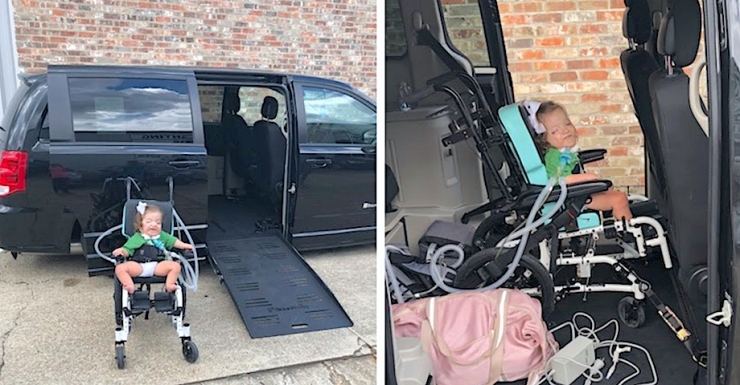 Not just for the LIFE-CHANGING road trip to Philadelphia for the VEPTR surgery, but for the unimaginably complex mobility issues they face every day. 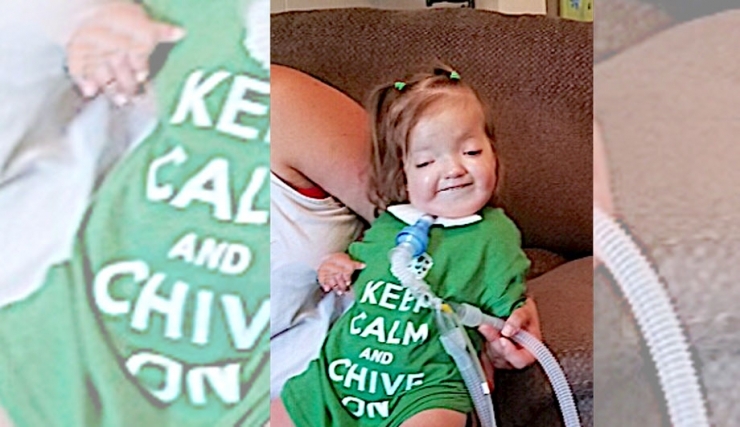 If you know Chive Charities, you know it’s money well-spent. 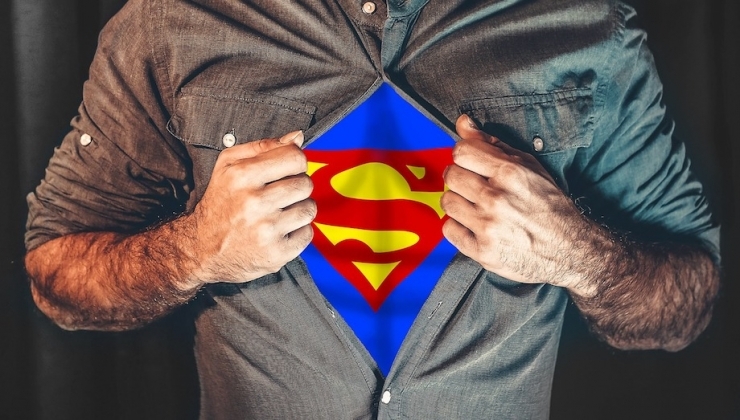 And if you don’t know Chive Charities, we’d love to show you how YOU can be a superhero for kids who may or may not be made of steel. Click HERE to become a monthly donor. **Big thanks to our friends at BraunAbility for their help making Chasely's world 10% happier!